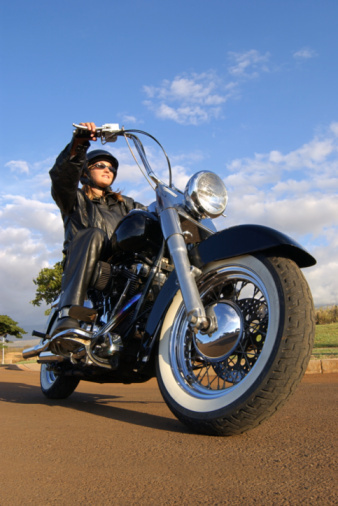 If you’re thinking about purchasing a motorcycle in New Mexico, it’s critical to obtain a title for your bike to ride it legally. As a motorcycle owner, you are required by law to title and register your bike within 30 days of an in-state purchase and 90 days foran out-of-state purchase. At MVD Express, we’re proud to offer quick and easy title registration for your motorcycle at our DMV locations in Albuquerque, Rio Rancho, Santa Fe, and Las Cruces. Schedule an appointment with one of our friendly customer service representatives today! When you visit MVD Express to obtain the title to your motorcycle, we’ll do everything we can to make the process quick and efficient. We understand how busy you are, which is why we offer executive service appointments so you can skip that wait at our facility should there be any complicated titling issues. Once you meet with one of our agents, they’ll walk you through the title registration process and answer any questions you may have. You will have the opportunity to communicate with your agent over the phone, through e-mail or fax should you have any concerns after obtaining your title. Stop by any of our convenient DMV locations to obtain your motorcycle title today! If you don’t take the time to obtain your motorcycle title within the 30 day title registration period, you could be hit with costly late fees! Avoid the $20 late fee and an increase in your excise tax from three-percent to four-and-a-half-percent by visiting a MVD Express location in New Mexico today. Sign the paperwork, pay the title and registration fees, and get on your way! At MVD Express, we pride ourselves on providing friendly and reliable services to all our motor vehicle clients. From motor vehicle titles to motorcycle titles, we can help you obtain the proper paperwork for your vehicle so you can hit the road quickly. Schedule an appointment today!